Happy Monday, everyone! 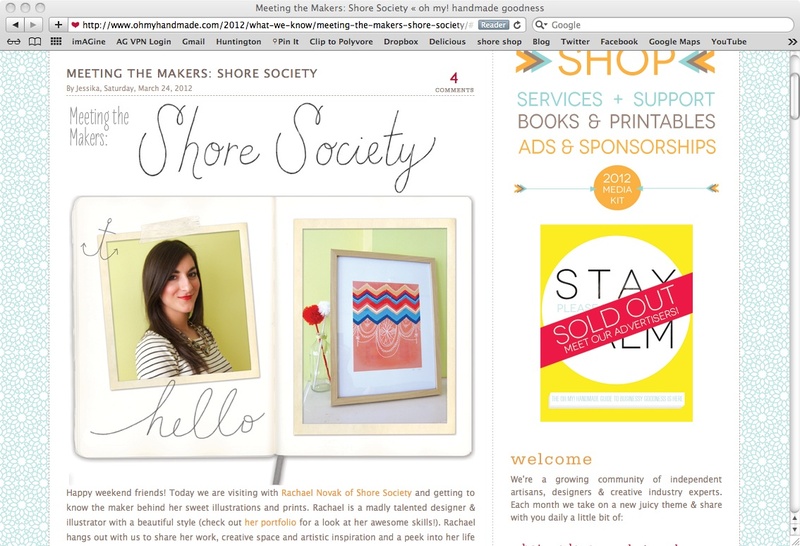 In case you missed it, over the weekend I had a little feature and interview over at Oh My! Handmade Goodness. The lovely Jessika Hepburn, editor of Oh My, is so sweet and did such a great job putting the whole thing together. So from the bottom of my heart, thank you Jessika for sharing my work and bringing me into your community! If you'd like to check it out, head over here and give it a read. Here's to another productive week...! Olá... suave, lindo e doce o seu blog! Amei as cores, as fotos! Awesome feature! I'll DEF check it out now...congrats! Cute feature! I'll have to check it out!